The rise in the value of the dollar exceeding AR$ 40 generates a lot of worry and anxiety. It is not about exaggerations. 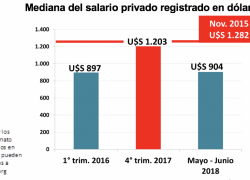 So far this year, the devaluation exceeds 100%, having impacts on inflation, income distribution and production. 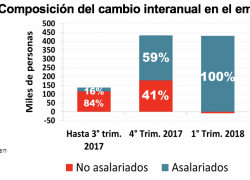 Particularly damaging are the very high interest rates that the Central Bank is promoting to try to contain, without success, the escalation of the exchange rate. What explains this sudden and harmful phenomenon? More specifically, is the jump in the dollar the result of exogenous factors or are the main triggers associated with political decisions taken or not taken by the government? Answering these questions is key for tracing a correct diagnosis. In December 2017, if all cash, saving accounts and LEBAC would’ve been destined to buy dollars, its price would had been AR$ 47 when the market dollar was AR$ 18. 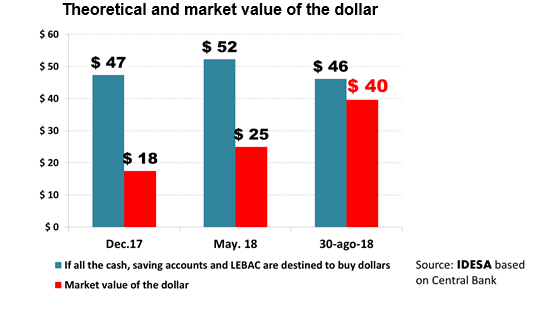 In May 2018, if all cash, saving accounts and LEBAC would’ve been destined to buy dollars, its price would had been AR$ 52 when the market dollar was AR$ 25. At the end of August 2018, if all cash, savings and LEBAC would’ve been destined to dollars, its price would had been AR$ 46 but the market dollar went up to AR$ 40. These data show that there were no abrupt changes in monetary conditions to justify the exacerbated escalation of the dollar. 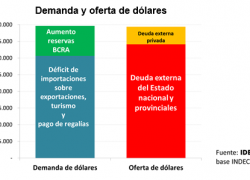 On the contrary, probably associated with an improvement in public finances, there are currently fewer pesos available to buy dollars than at the beginning of the year. Neither was there a negative external shock. In fact, exports rose in the first 7 months of 2018 compared to 2017. This suggests that the dizzying rise in the dollar is associated with the growing loss of confidence in the government’s capacity to reduce the fiscal deficit. It is not a lack of announcements or external support, including those of the IMF, but the scant credibility that the announcements can be effectively put into practice. Since it took office, the current administration has promised gradual reductions in taxes, expenses and inflation, appealing to the fact that the fiscal deficit would be financed with indebtedness. But the scheme was inconsistent because the parsimonious reduction of the primary deficit did not compensate the increase in interest payments that the growing indebtedness produced. This made target inflation unreal, even after relaxing it, fueling growing distrust. The perception that gradualism requires growing debt is the main factor behind inducing the massive purchase of dollars. Two alternatives remain for the future. One is to continue insisting on unilaterally proposing new promises to reduce the fiscal deficit, which will surely be well received by the IMF but will not reassure the markets since they do not have sufficient political agreements to be implemented. The other is to focus efforts on agreeing with the opposition on a strategy to reduce the fiscal deficit that is credible. Consensus building around a consistent strategy is a complex task that requires a lot of flexibility and innovation. 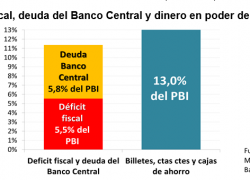 However, it is the way to give convincing signals that Argentina will stop persisting in chronic fiscal deficits. Quickly sanctioning the 2019 Budget reflecting the trend towards fiscal balance is a fundamental milestone. Therefore, the priority is not to dialogue and agree with the IMF but with the opposition governors.